Knowing the key variables that are driving your school or district’s college outcomes, while tracking key alumni data, is a key step in evaluating the effectiveness of your CCLR initiatives. Naviance Insights empowers schools and districts to build a college, career and life readiness (CCLR) strategy on variables that correlate with improved college outcomes. 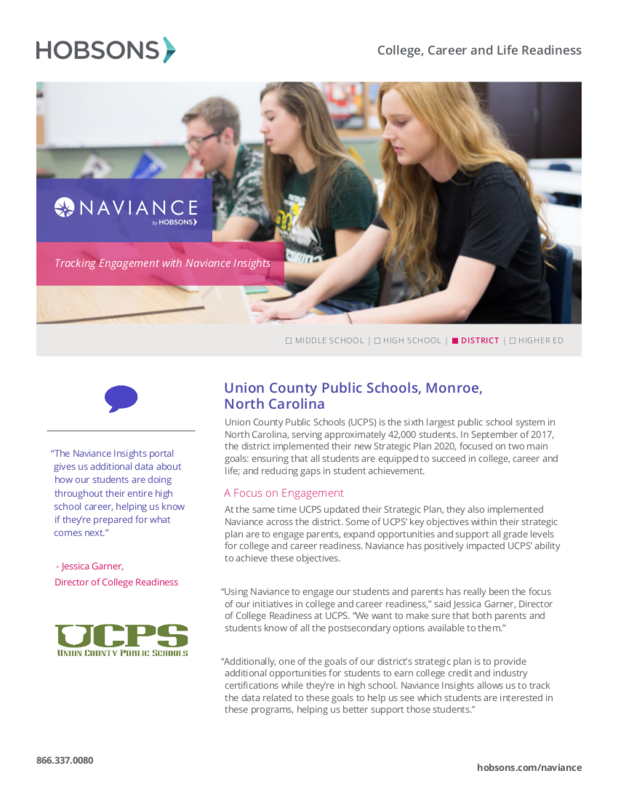 Download the latest Naviance case study and learn how Union County Public Schools is using Naviance Insights to track engagement and progress metrics related to their CCLR initiatives.